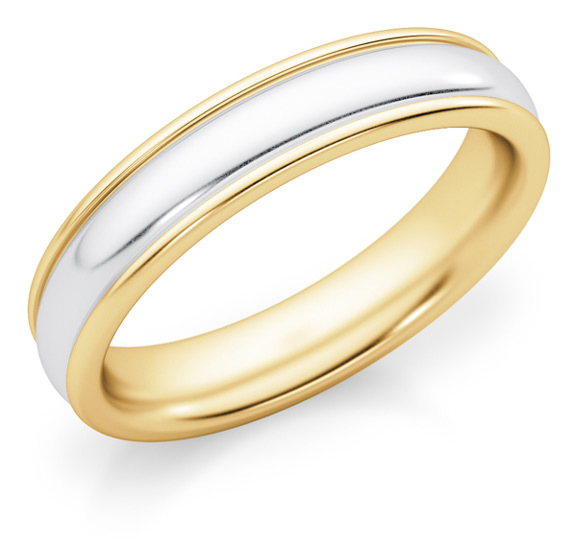 A plain polished 4mm two-tone gold wedding band ring for men or women, based on the ring size that you choose. Choose from 14k or 18k two-tone gold. The outer rim is shown in yellow gold with the inside of the band in white and the ring is high-polished for a classic high-sheen look. The plain two-tone gold wedding band ring is also available in varying widths from 4mm - 8mm (shown below) and is also available in all white gold. We guarantee our 4mm Two-Tone Gold Plain Wedding Band Ring to be high quality, authentic jewelry, as described above.